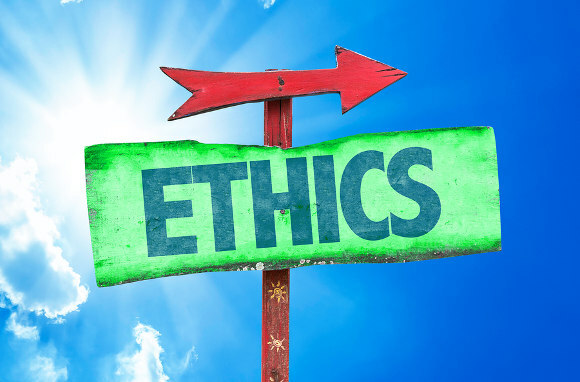 Ethical Blogging: Bloggers, Is YOUR Opinion for Sale? Is Traditional Media Unbiased? Last week Small Business Technology Coach Vernessa Taylor wrote about the controversy over blogging for pay and cited several high profile examples of people who are adamantly against bloggers being compensated for their time because they apparently do not know anyone who has sufficient integrity to not let their judgement be clouded by their love of money. I know many bloggers whose opinions are NOT for sale and they make it quite clear up front to brands and PR people that they better expect a REAL review – not a fluff piece about how wonderful something is – even if it isn’t. This all comes down to the same thing it has ALWAYS come down to – and that is integrity. compensated for their time or given the product. The wise among them make it VERY CLEAR to PR folks and brands that they better expect an HONEST evaluation. An ethical blogger will NOT risk their reputation for you! And their opinions are NOT FOR SALE. Those who believe that when most journalists were paid a salary that they were totally unbiased are naive indeed. I guarantee you that great story you want to get published is NEVER going to see the light of day when it casts any major – or probably even the smallest advertiser – in a bad light because the overhead and salaries were covered by paid advertisers. I can prove that in the horse industry if anyone doubts what I’m saying here. belief system at the time or that are NOT. who don’t are “biased”. They’re wrong. Journalism, Media or Blogging Even Possible? Does Margot Finke believe that bloggers should devote so much time to acquire skills, pay overhead, write and promote – all for free forever? What model of monetization does she suggest bloggers use? Perhaps those who are opposed to bloggers earning a living were born into the world of Guy Kawasaki which may as well be on a different planet than the rest of us: a lifestyle of champagne and caviar where women of luxury spend their time fund-raising for charity because they don’t have to be concerned about keeping a roof over their head, their families fed, and the electricity, Internet and phone on. to be compensated for what they do. Louis Gray’s dilemma points out what is obvious to me. I write about what I recommend and LATER they may become clients because I have been recommending them so long. Does the fact that they are now clients color my opinion? NO! I have an entire AAA Recommended Brands page in my blog that contains the few brands I can endorse. Not one of them that is on that page was a client first. Most I have recommended for far longer than they ever finally started an affiliate program – if they even have one today. Do I want to become their brand advocates? YES! have deep pockets and can pay me to lie for them. We need to be totally clear on this. As long as we recommend only what we sincerely believe is worthy of our recommendation and do not allow our judgement to be clouded by money, status, fame or bling, earning an income does not make us corrupt. Anyone who reads my blog should be able to clearly see the difference between my mentioning a person or company and my recommending them. That is how the Mom bloggers in her blogging community have decided to resolve this question. Personally, I believe we are finally going to get to a time when people stop expecting bloggers to work for them for free. PR firms and marketing representatives sometimes think we are an extension of them and will work for free. Now, don’t get me wrong — I actually welcome getting press releases and news tips from PR reps. After all, writing about real news is part of our job. But that’s different from people wanting to get your site involved in holding product giveaways or conducting surveys, without compensation. In the beginning you may need to blog for swag just to grow your audience. But after a certain point, when your site starts to grow, be conscious of the value of the audience you’ve built. Make sure that you are TRULY getting valuable marketing exposure for participating, and not just being taken advantage of. We still do a lot of co-marketing arrangements and giveaways, but we evaluate them more carefully now. And we are much more likely to say yes to helping out other entrepreneurs, than to huge brands that can afford to pay for advertising. The reason so many are suspicious is because of all the “do anything for a buck” shills in the world – or because they themselves lack the integrity to not let the love of money bias their opinions. Bloggers must decide where they stand and who they will interact with and to that end I wrote a post about Blogging Ethics. In it I wrote that there are three kinds of people in the world: the ‘Highly Ethical’ on one end of the spectrum, the ‘Anything for a Buck’ types on the other with a huge majority in the middle that are willing to do whatever is acceptable to others – as long as they don’t get caught. If anyone they know is outed for being shady, their fair weather friends will pretend they don’t even know them. It is high time to make a decision about what kind of person you are. If you’re not sure, now is a good time to figure that out. Then decide whether you wish to be part of the crumbling status quo or are willing to leave the Traditional for a Collaborative World View. CommentLuv community and change the world. If you want to share why you believe bloggers should or shouldn’t be paid and how YOU see the world, leave a comment. As always, RELEVANT links are encouraged. FYI: Comments by new commenters and most comments that include links will go into moderation where I will rescue them. NOTE: This post was originally published March 20, 2012. I am happy i found this blog. Thank you for sharing with us. I too always learn something new from your post. 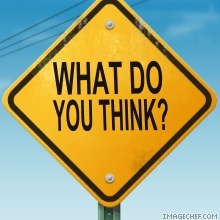 I believe that each blogger ought to be paid for a survey. Escpacially, on the off chance that they are requested that do as such, we ought to pay abd keep away from to impact their supposition. Being paid ought not principle a cool survey with 5 stars, it implies a profound investigations that well help the proprietor to see unmistakably through the assessed item. Such a gr8 info about blogging & Bloggers. i think Blogging is not just to earn. It ought to be ruined giving supportive data to individuals and get the best client engagement, which drives you to wind up celebrated and effective. Any how gr8 post..good job..!! I think your every point is very important and useful .I agree to you very much.It is a timely post from you.I think in near future blogger should be paid. Well in my opinion bloggers should not be paid for giving opinions and ideas.And I know everybody not thinks as the same. So it depends on the type of blog. bloggers should be paid for their shared opinion or ideas. Although it is hard to say if they are being bias or not. I’m more likely to get annoyed by the people who leave comments without even reading the blog post. I find them more unethical because they make the writer do the work of having to delete their post. On the Internet, I think blogging is fair game. Their isn’t much that I read that I would consider to be completely trustworthy on the Internet. The worst are the ones that ask questions that small businesses or bloggers spend time researching and answering – only to find out they aren’t actually potential customers at all. As a regular writer, I will only write what I believe. The best writers can, fortunately, be highly selective about who they choose to work with and turn down anything we find unethical. You pointed out some really interesting things here. It never ceases to amaze me how some people think that bloggers should not be compensated for all of their work. As blog owners our number one goal is to serve our audience. Companies should know by now that they are going to get honest reviews of their products. There are those bloggers out there who “sell out” but readers quickly lose trust in them. In the long run, those who sell out will lose their audience. I loved and shared this article everywhere. Thanks for taking the time to comment. Publishing has changed a lot and is still in the process of normalizing. People who are used to the old ways will eventually catch on. Thanks for sharing. Blogging is not only for earning. It should be done for providing helpful information to people and get the best user engagement, which leads you to become famous and successful. Do not run for money, run for vision and money will follow you. blogger not for sale and i think its not good idea for blogging because blogging is only for increase our earning. I think that every blogger should be paid for a review. Escpacially, if they are asked to do so, we should pay abd avoid to influence their opinion. Being paid should not main a cool review with 5 stars, it means a deep analyses that well help the owner to see clearly through the evaluated product. While I do use the Internet for research, I don’t put a great deal of faith into anything written on the net. As far as ethics go, most ethical questions are open to debate and we have to make our own choices. Does there have to be a single unifying theory of ethics, or are there a number of ethical values that can guide a person in a specific direction? I have heard so many people say, “Oh, I can’t accept that,” as a journalist. And, while I value that and applaud them for “sticking to the rules,” the reality is that we are human. Hey, even when I do reviews, I have to remind myself that free access to the tool/site/whatever is just that, free access for the purpose of the review. It is not intended to be a bribe for a 5 star review. Ok, maybe it is intended to be that. However, each of us have to answer to our own perspective on ethics. Exceptionally fascinating post. For me, bloggers ought to be paid for their common feeling or thoughts. In spite of the fact that it is difficult to say in the event that they are being inclination or not. Very interesting post. For me, bloggers should be paid for their shared opinion or ideas. Although it is hard to say if they are being bias or not. For a product review blogger, the best way to monetize their blog is to charge for the review. I don’t see any other monetization method available – options like adsense or other such platforms won’t even make pocket change unless the blog becomes really huge. The mainstream media does pay their Journalists, the channels themselves get paid from the same advertisers on whom they cover the news – and yet it is all fair! But when a blogger gets paid, they start to raise their eyebrows. It takes several days to compose a good review, with detailed screenshots and links to further resources. The product has to be thoroughly checked for quality and performance. On top of that the review has to be promoted on the social channels, replies, questions and comments has to be answered. I wonder if all this can be done for free? And the costs like Internet, electricity etc. is additional. I don’t see why a blogger shouldn’t be paid – unless the mainstream media or the search engines don’t want honest reviews coming from independent sources. Lots of information and actually very informative.. Nowadays? well, I would say people blog for money and that’s the truth. But just the same, bloggers should not just focus on monetizing their blog but also focus on great content not biased. blogger is very useful person in this world because they give lots of information across the world.Now blogging is a great idea too, to increase your earning . I agree Gail that there’s a perception that traditional business is unbiased and blogs are biased. For things such as paid reviews, I think that being clear about the rules of engagement are important from the blogger’s perspective. I think many bloggers add a lot of value and deserve to be compensated. Thanks for making the time to comment. Most consumers of media have no idea what goes on in the decision-making process regarding what gets aired or published. It was easy for me to see because I was involved in the horse industry and knew the publications. Bloggers are actually more honest in many ways because they don’t usually have that same conflict of interest that many large media companies with corporate sponsors do. One of the phrases I love seeing everywhere is the famous “opinions are my own”. I think companies and clients should take note that whenever we write about a product, we share our own experience. In most cases, we test everything ourselves so our reviews are close to the actual thing. And better yet, clients must understand that they are purchasing an advertising spot if it’s paid, but they aren’t buying our audience or our own judgment. I could never write on my blog, “my online home” articles about products or services I don’t believe in or haven’t tested / rated myself. It’s like inviting someone into my own home without actually wanting them there, isn’t it? And thanks for sharing your thoughts on the ethical blogging topic. Thanks for taking the time to comment, Roxana. I know that as a serious writer we are on the same page. All of us in our collaborations are. While there are review bloggers who will only write positive fluff because they’re being paid, brands need to know that reviews containing both pros and cons are more credible and effective. This is always a touchy subject. On one hand, I think that if a blogger honestly loves a particular brand, tool, product, service, etc. and would promote it if they weren’t being paid for it, why does it hurt to get paid for it so long as you disclose the relationship. On the other hand, it’s hard to trust any review that’s been paid for as most readers would assume you gave them a favorable opinion based on the payment. I totally agree with you. I would love to have as clients the products I buy regularly. Personally, if I feel I can’t give my honest opinion I would turn down the work. Even brands I love need to know the truth – tactfully, of course. I agree that some bloggers blog as their self-expression and some are being paid for it. But as for me, whatever reason and benefits we can have with blogging, the most important thing is on how we blog and how we outreach our readers through our blog. Gail, I know this is a sensitive issue you’re addressing here, and very important. A lot of people expect bloggers to work for free. I contacted a company the other day regarding covering their publishing event on my blog, shared the benefits etc. They told me I’m welcome to and I hope I don’t expect to get paid. Yep, it’s a dream to do this for money, and if you can provide value on your blog, then you should get paid for it. Who’s going to fit the bill? That question is still open. I guess that’s where proper monetization comes in. It is early days yet for bloggers working with businesses. A big part of why we’re launching this contest is to change perceptions and get small businesses, bloggers and readers of blogs to better understand that working together will benefit us all, improve the economy, create jobs, and raise the standard of living for everyone around the world. True integrity is hard to come by these days, whether its in traditional media reporting or blogging. There is more bias in traditional media due to the large amounts of money involved. With advertising quickly becoming the main money maker for newspapers, magazines and TV, it is in their interest to keep their advertisers happy. There is less such pressure on bloggers since their advertising revenue is lower and there is less at stake. Also their integrity is what gives them credibility and they can’t afford to compromise it. I agree that integrity is critical for longterm success. Those who damage their reputations will find it very difficult to recover them. He replies that he had already established that – now he was just negotiating the price. I have to totally agree with this article, I have personally made a purchase decision off of a blog article where the blogger CLEARLY stated she was affiliated with the product. Thank you so much for taking the time to comment. People will only believe us when many of us add our voices. I found the best small business marketing book I’ve ever read because Tia wrote about it and our collaborators regularly recommend what works best for them to everyone else. It makes sense that when you know and trust someone’s opinion because they have integrity that you feel more confident about buying decisions. I see no problem in being paid to do a testimony or review for a product or service for as long as you make a truthful and unbiased review base on actual first-hand experience. Also, even if you liked the product/service, you must also cite what other consumers may possible find less appealing. I don’t have any guest posting in my blog either, I am pretty upfront on that . Although there many who still insist and beg me to allow them ,which I firmly said no. To which ,much to my dismay got angry with me. I would love you to see…carpet repair mckinney. I have no doubt that there are many bloggers who have high standards. Certainly many of them would not sell out. I would like to think I am one who would not. But, there are ways that the dollar talks. Once it appears, people will do or say things they would not have otherwise. I think blog won’t be for sale, Blogger would not do this mistake but the space of the blog space might be on sale. I can be anything such as advertising, keeping banner, putting links which might be considered backlinks. I very much agree with this comment. Blogging is commonly seen as a get rich quick ploy. If I start a website, I will make thousands of dollars a month and can quit my day job! Then when those folks see no traffic to their site, they can overcompensate and say incendiary or false things to feign provocativeness, which really it is just ignorance. This is a delicate aspect when being a blogger. Nevertheless, I think that most of the beginners fall in this trap, while experienced ones are able to restrain and promote only the products they really believe in. I think that with time, they will understand they might alter their brand if are willing to do whatever it takes for money. I think blogging is the best platform to promote a product and companies should try to make most from this. Bloggers also should try to give genuine reviews rather than being impartial. This will gain them trusted readers. I agree with all the blogging ethics which you have sorted out here. Thanks for sharing them! Hey great thread. It has been seen that blogging is an area that can be fraught with legal and ethic issues – in many ways these reflect the way journalism is affected by ethics and the law, but with blogging there’s one significant difference – anybody may start a blog on just about any topic. Keep sharing such more. Blogging is a best way to increase popularity of products.and older social media is the best way to promote it. To think that bloggers can’t possibly be impartial when reviewing products is pretty ridiculous. I know many bloggers who will let companies know up front that they’re going to be totally honest, and if the company can’t deal with that, they probably shouldn’t participate. If someone is going to put in the hours and work to thoroughly test out a product or service, where’s the harm in them getting remunerated for that work? I don’t see any harm in them getting remunerated for work that they do, and I have seen so called paid reviews that were less than appealing. I just feel that people need to be honest even if they are paid to review it. In this world, due to insatiable desire to get something, they’ll do everything by all means just to achieve such desire. For one who is covered by desire cannot distinguish the gray from black. It sad, but this actually happening in this world not just in internet world but everywhere… Good to hear that some people observe this. Thanks for the post—to get the awareness of gullible public. There is no doubt that money drives online blogging. I think I read somewhere that about 80% of online blogs were developed as a means to earn passive income from writing online. As a natural byproduct of this you can expect that there are some really prominent bloggers and companies will want these bloggers to give their opinions (hoping to get a testimony from someone reputable as a marketing boost). My integrity is not for sale. Space on my blog is for sale. I get requests for “guest posts” shrilling for some company every week. These are businesses making requests for advertising in the guise of guest posts. I tell them that and request my fee for sponsored posts. They usually grumble and go away. As Gail says, we need to condition businesses to see us as fellow businesses and not marks. May I quote you please? Pretty, please? I love that! It is SO true. I have always put my own opinion over on my blog, for example my movie reviews, if I don’t like a film, then I’ll say so. My readers have come to learn that my opinion is my own and it can be trusted. It’s the same for products that I am sent, if it’s a good product I’ll say say if it’s rubbish, I’ll say it is! If you think about the time required to maintain a blog, you start thinking you could get some compensation for your efforts and that’s not necessarily a bad thing. You’ll have to draw up some guidelines for yourself and where’s the line you will never cross. What do you do money talks. It’s a tough one to be unbiased when compensation is involved. If someone says they will pay you x dollars for some kind of positive review it would be tempting if a decent chunck of money was involved. If we are talking a few dollars no big deal, but a few hundred then I may stop and think about it. If you were really broke and you could really use the money it would be difficult to pass it up. If it wasn’t going to make or break you then it might be a different story. Ray you have hit the nail on the head. It is all about the might dollar at the end of the day. People will do strange things when they have little or no money. I agree, INTEGRITY is priceless and I am really all praises to bloggers and site owners who value their integrity more than money. When you are a blogger, people look up to what you say and they even follow you like a celebrity. So, endorsing something in your website which you really believe in is an amazing thing to do. Many companies are searching for the honest experiences of people regarding the use of their products. Writing product reviews have become popular when companies offered a good amount of money for people who want to give time to give their opinion about their products. In fact, most article writing sites such as Helium, Triond, Bukisa, Hubpages and Knoji (Factoidz before) allowed online article writers to include product reviews. In fact, writing product reviews don’t just give benefits to the companies but also provide important ideas for the potential customers on which product is good and not. Thank you for sharing this article, I really appreciate the information you have given us. If you happen to notice the youngest blogger who is from the US.,writes about how to monetize your blog and how to earn from blogging was one example that people go blogging for money. However he said that he never have even once earned dough for his blogs,which he will be starting soon enough. He’s still 10 and yet he talks about bigger things. Well for starters, I owned several blogs and now I have carpet repair halton city. Very confusing one. In case if the Blogger is programmer or someone who belongs to Computer Filed can be ethical one. By the way Great Post I mean I enjoyed it. Just as anything there are people who follow ethics and there are people do not follow ethics. You can’t ignore ECONOMICS. Where there is demand, there is supply. It is as simple as that. This is a very good post. Thank you for sharing. Now Blogging is a good way to earn money. But there are so many people who don’t have any knowledge about blogging, they try it. As a result the spamming is increased day by day. I think this is the big problem with famous blogger only. Only blogs with massive traffic are usually get pay for reviewing. But they have to trade off between money and their traffic. In my opinion, I refer getting more traffic to losing reader when say “good” for “bad” product. Blogging is not only for money, it’s also about sharing you true opinion with the world. Blogging is an area that can be fraught with legal and ethic issues – in many ways these reflect the way journalism is affected by ethics and the law, but with blogging there’s one significant difference – anybody may start a blog on just about any topic. While not all blogs are created with the traditional journalistic ideals in mind, it is important for all bloggers to differentiate between truth and opinion. I think on the grand scheme of things people will give their true opinion when they are getting paid for it, if they were true to themselves before they made money. People that do it only for the money started out for just that compensation and will probably give any opinion that they think will bring them more compensation. I agree with you. People are either willing to do anything for a buck or they’re not. While highly ethical people are a very small minority, many of them are influential bloggers. I’m happy to see that all CrankyAds spaces are full, that’s great Gail. Interesting ponts in this post. I think that whenever there is money involved there is always a kind of particular care. If someone pays 100 bucks for a review even if it’s a honest review it’s pretty normal to overlook on some negative points. As you say we all have expenses. Maybe the blogger is still honest but it’s normal to focus on strong points and not beng so precise on weak ones. It’s the same thing we do with relatives and friends. This happens all the times with normal journalism as every journalist must answer to the one who pays his salary, be it the editor or the advertiser. I honestly think that being a blogger usually a one man business it’s much easier to find truth on a blog than on a magazine or newspapaper. In reality there are very few bloggers who do it for the money given that there is normally very little money with blogging. It comes out mainly for passion so that’s why it’s easier to be honest. Unless posts are just an excuse for affiliate links pushing. But thankfully it’s not always the case. My CrankyAds spaces aren’t sold out except for the 300×250 at the top of my blog. The others are affiliate banners for products, solutions and services I can whole-heartedly recommend that I had on my AAA Recommended Brands list long before Ana wrote about Cranky Ads. I had been meaning to put ads right where you see them now and will – when I can make the time – write about ad placement, optimum sizes, how to price them, etc. and mentor other bloggers in how to monetize. When I write about products or services I focus on the positive and mention the pros and cons. That is true even though I have never been paid to review anything to date – not that I wouldn’t – just that I haven’t. I do that because it is the right thing to do. There is no such thing as a perfect anything. I put what I wish a product did or what I hope a solution will add in a wishlist or list of suggestions. I don’t use it to bash them publicly. We all need to focus on what we want – not on what we don’t like. I do regularly point out usability issues in the hopes that high quality products and solutions will get even better. I can tell you that mostly falls on deaf ears and sometimes angers those I sincerely wanted to see be the very best they can be. If we choose to support the brands we love FIRST and then they are wise enough to seek us out that is better than if bloggers promote whoever will pay them. What people need to realize is almost anything is only someone’s opinion. Many of the deal and coupon bloggers I mentor are pro-big brands because that is who currently works with them and sends them products to review. I am anti-big brands and their products. What they write and what I write could be diametrically opposed but we would both still be writing our own truths. People have to get over this belief that there is one absolutely correct product review. All you have to do to see that is to look at the reviews on any major site like Amazon. The same product can have a bunch of 5 star reviews where people loved it and a bunch of 1 reviews where people hated it. That means that either that product line has a lot of lemons OR many of the positive reviews were written before some poor quality product croaked a few days, weeks or months after they bought it OR people just like different things. Nothing dishonest going on there. I sympathize on the Google slapping. We can’t always do anything about that as I write about in my many Google posts including the one about Who Google’s Panda REALLY Slapped and There is no Google Fairy. If someone pays 100 bucks for a review even if it’s a honest review it’s pretty normal to overlook on some negative points. As you say we all have expenses. Maybe the blogger is still honest but it’s normal to focus on strong points and not beng so precise on weak ones. One reason to share the beauty as well as the warts is to fulfill what our readers expect when they’re trying to make informed decisions and good choices about how (and when) to spend their hard-earned dollars. I can echo what Gail mentioned in her comment about not bashing products or services, but clearly stating what could be better, what’s obviously missing, or what I’d like to see. When I’m paid by a small business who is offline to consult, evaluate and recommend, they expect full coverage. The same courtesy should be afforded online readers. Video Broadcasting Equalizer: WebcamMax With UStream.tv and Skype and Comprehensive Review & GiveAway of Invoicera Online Invoicing and Billing. Gail, I can always count on you to present a deeper revelation of an issue. Thank you for your original comment on my article and for sharing the rest of your thoughts in this blog post. Yes, it comes down to ethics, integrity and removing the love of money from one’s eyesight. And, like you eloquently point out (along with Anita, Kelli and others), those participating in the online world MUST recognize that bloggers shouldn’t have to dance for their supper. Personally, I never have any qualms telling someone, “and the cost for that is x amount of dollars,” because the grocer isn’t accepting IOUs. So long as there are bloggers who don’t understand ethics, integrity, or businesses who try to ignore the need to pay for products and services, we’ll keep raising the bullhorn. This is primarily a conditioning and perception issue because there is nothing impartial about traditional media. They have the ILLUSION that they are not biased but the Truth is something totally different. I’ll be publishing a follow-up to this with answers to the common objections I’m hearing from traditional businesses regarding bloggers writing about contest sponsors. Now so many people started blogging for earn money. The result is increase in the spammers and content crapper which also tends to increase the competition. this is mainly in the tech niche.